Do Movies Influence Children’s Psyhe? 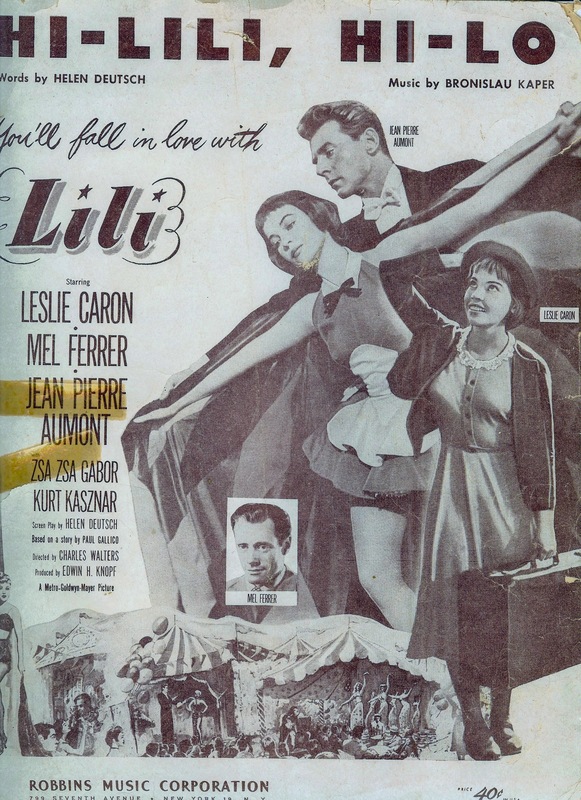 When I was six years old, my mother took the family to see the movie, Lili, released in 1953. My mother purchased the sheet music from the theme and would play the song on the piano, singing along. I remembered liking the song, too, and we’d talk about the movie. The central plot of the story centers around Lili, a young woman left alone, and finding her place at a carnival. She falls for a magician, who rebuffs her. Thinking that all is lost, Lili contemplates suicide. Paul, the lame puppeteer watching her from afar, draws her into conversation with his puppets. Paul hires Lili as part of his act, and her innocent and sincere interaction with the puppets becomes an instant success. Although Paul falls in love with Lily, he is unable to express that love except through the puppets. After an argument, Lily leaves. As she wanders down a long road, the puppet images come alive in her imagination. Through dance, Lily realizes that Paul is the puppets, and she rushes back to the carnival. Leslie Caron plays the part of Lily, who I remember as most convincing as the naïve girl finding her way in a harsh world. Her brimmed hat and sweater with the lace collar convey a sweet innocence. 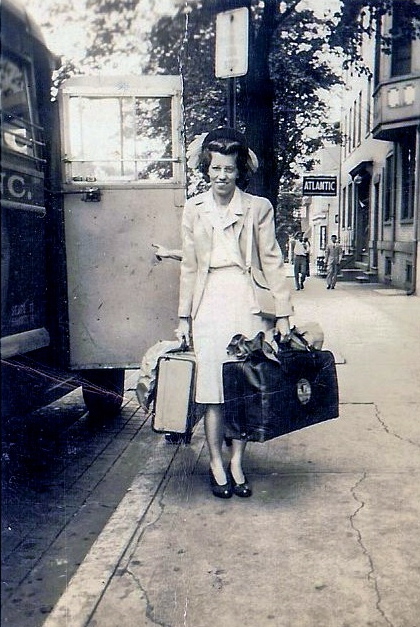 The photograph below of my mother taken in 1945 reflects style similarities of the time. The expression of love through the puppets stayed with me long after my mother stopped playing the song. I came to believe that showing kindness, but from behind the scenes, made that moment magical. Elements of reality and fantasy co-mingle and mimic the puppet master and the puppets. Everett Ferguson wrote on the modern perspective of magic, which is a result of a universal sympathy. The laws governing these connections may be unknown to most of us, may be hidden even from the magician; but it is in virtue or organic, natural, that magic works. Where this all becomes interesting is understanding the effect of movies on children especially as an intersection to their parent’s reactions to the same film, which supports or negates the child’s experience. The borderlands between reality and fantasy are part of all movie-going experiences. While the movie Lily captured my imagination, I’m somewhat convinced that my mother’s influence played into my remembrances and taking in elements of the film personally. I’d be interested to know if others connect to films through some aspect of their parent’s reactions. Let me know.